MamaBear President Robyn Spoto says the company’s most successful app lets parents track the online activity and whereabouts of their children. 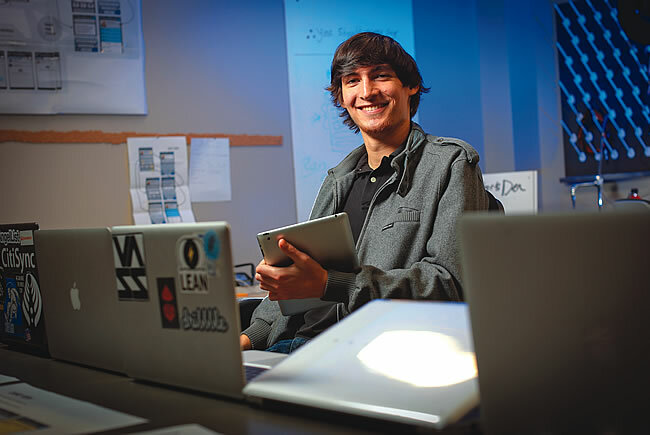 Aidan Augustin developed his app in an effort to make exchanging business contact information easier. Chris Cabell teamed up with a cardiologist to develop a series of apps for doctors. Kristi Taylor partners with retailers for her gift registry app. While the mobile app industry in Florida is growing, making money from an app is still tough. The mobile applications industry is responsible for an estimated 466,000 U.S. jobs and $20 billion in annual revenue. While there’s no way to know exactly how many mobile application developers are in Florida, there are dozens of web development firms in the state with expertise in mobile-friendly websites and applications for both mobile devices and tablets. Some firms work only on a contract basis developing applications on behalf of clients, giving the app developers a more diverse and stable revenue stream. Other entrepreneurs focus on the riskier effort of developing their own proprietary apps. As soon as the iPhone hit the market six years ago, retailers took advantage of the phone’s built-in satellite tracking system to develop apps that not only targeted customers based on location but tracked their every move. 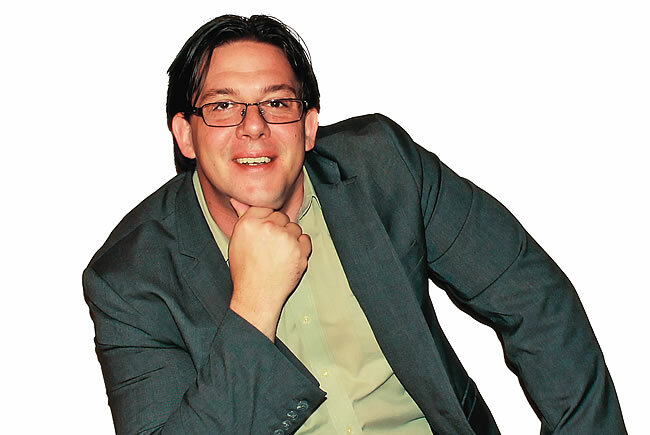 Steve MacDonald, along with other executives at his Tampa-based pharmacy benefits company myMatrixx, jumped on the app bandwagon and developed several retailer loyalty apps under the name GeoMOFO that tracked the whereabouts of customers. Their biggest hit yet may be MamaBear, a smartphone app that allows parents to track their children’s location, driving habits and social media activity. MacDonald used the same framework for the retailer loyalty apps to create MamaBear. Launched in August, MamaBear, still being tested, already has 10,000 downloads. It’s free for now, but the plan is to charge monthly subscriptions between $5 and $10. Both child and parent must install the app on their phones, says Robyn Spoto, president of Tampa’s MamaBear. From there, parents can set up what they want to know: Where a child has been and whether a child is someplace he isn’t supposed to be. The app even provides social media alerts when certain words are used or a child is tagged in a photo. “The intent of the app is really to put some knowledge in a parent’s hands so they don’t have to worry so much about what their kids are doing,” Spoto says. While in Silicon Valley for an internship at a satellite company, University of Florida student Aidan Augustin attended dozens of networking events. But he became frustrated by how cumbersome it was to exchange contact information with new acquaintances. Many, including other interns, didn’t have business cards. “Some people would say ‘find me on Facebook,’ or ‘I’ll send you an email from my phone,’ ” Augustin says. Even if the new contact had a business card, he had to type the information into his phone or computer. After returning to Gainesville in the fall of 2011, Augustin and Neal Ormsbee created Feathr, a digital business card mobile app that easily transmits phone numbers, email addresses and social media account information. Feathr will launch a limited version this month. It has seven employees and some heavy-hitting advisers, such as Jamie Grooms, head of the Florida Institute for the Commercialization for Public Research. But Feathr is entering a crowded field; efforts to digitize business cards have been under way for years, and none has become widely used so far. Augustin says Feathr offers an eye-pleasing interface that doesn’t mimic the look of a traditional business card. And it doesn’t require that both people sharing contact information have the app. Feathr is free to download; the company plans to make money selling sponsored content.